Kisumu Residents Protest following "Rumours" that Raila Odinga and Moses Wetangula were locked by the raiding Police at Jimi Wanjigi residence. - Anti-IEBC Demonstration. - Bana Kenya News, Real African Network Tubanane. Home News Kisumu Residents Protest following "Rumours" that Raila Odinga and Moses Wetangula were locked by the raiding Police at Jimi Wanjigi residence. - Anti-IEBC Demonstration. Kisumu Residents Protest following "Rumours" that Raila Odinga and Moses Wetangula were locked by the raiding Police at Jimi Wanjigi residence. - Anti-IEBC Demonstration. 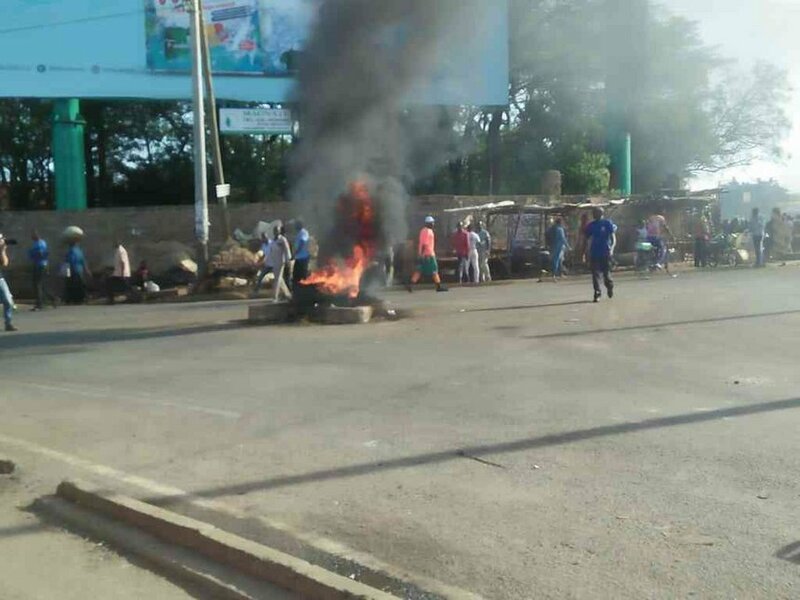 Protests erupted in Kisumu after some rumors went the social media that Raila Odinga and Moses Wetangula were locked by the Police who raided the Nairobi tycoon Jimmy Wanjigi. The Rumours stated that the Police locked Raila Odinga and his NASA team in the raided house in Muthaiga, Nairobi. Protests erupted in Kisumu on Wednesday Morning following rumors that police detained Raila Odinga in the Muthaiga home of businessman Jimmy Wanjigi and locked his team at Pangani Police station. 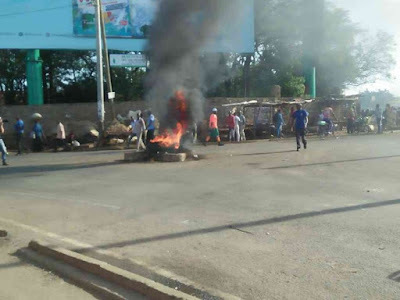 Youths lit bonfires on Kisumu-Nairobi highway and the Kisumu Boys' roundabout saying they will remain on the streets until Raila addresses the media. "Personally, I know Raila has not been detained but following the rumors, some of these people will not believe it until they see and hear Raila speak," said Mark Omollo, an electrical shop owner at the bus terminus. Police contained the situation as it came out clear that it was just a rumor. Raila Odinga will give direction on Friday as the country will celebrating Mashujaa day. The NASA coalition has vowed to continue with the Protests next week.